During the 13th and 14th of September 2016 the DATEX II User Forum was held in the Trinity College conference Centre in Dublin. The final Programme of the 2016 DATEX User Forum is available now! 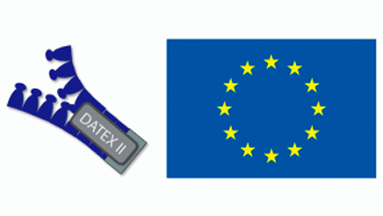 Read more about The final Programme of the 2016 DATEX User Forum is available now! 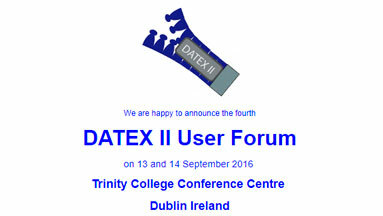 The 2016 edition of the DATEX User Forum will been held in Dublin on 13th-14th Sep 2016: check DUF Information Page. Check updated information and see you in Dublin 2016 DATEX User Forum!